Arline Kardasis is a conflict management skills trainer, conflict coach, mediator, and consultant. She has designed and presented advanced trainings, workshops, and seminars to hundreds of conflict management professionals around the United States with a particular focus on workshops and tools applicable to family business stakeholders and their management teams. Arline is the co-author, with Continuity Managing Partner, Blair Trippe and Partner, Rikk Larsen, of Mom Always Liked You Best: A Guide for Resolving Family Feuds, Inheritance Battles and Eldercare Crises. She also collaborated with Rikk Larsen on the article, “When Aging Issues Lead to Family Conflict” for Massachusetts Lawyers Weekly. Arline has been invited to speak at the Program on Negotiation at Harvard Law School, the Sino-U.S. Judicial Mediation Exchange Program, the American Bar Association, the National Association of Professional Geriatric Care Managers, and the National Academy of Elder Law Attorneys, among many others. She serves as a mentor and coach for professional mediators in the Massachusetts courts and is a former Vice President of the Board of Directors of the New England Chapter of the Association for Conflict Resolution. 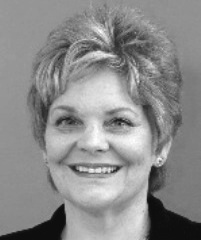 Arline was a founding co-chair of the (International) Association for Conflict Resolution’s Elder Mediation Section and served on the Public Awareness Subcommittee for the Massachusetts Trial Court’s Standing Committee on Dispute Resolution. She earned an MAT, with honors, from Simmons College and a BA in Political Science and Urban Studies from Boston University.